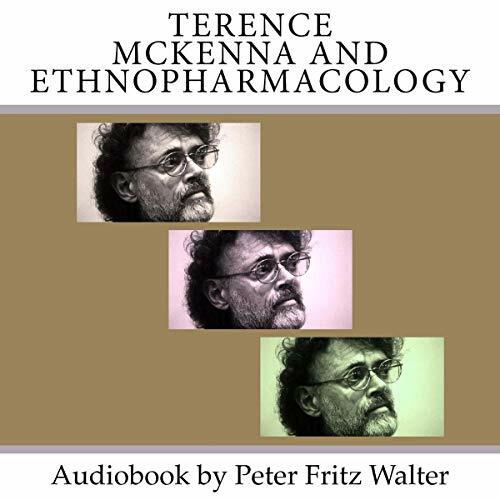 Terence McKenna and Ethnopharmacology (Great Minds Series, Vol. 8) - 2017 Revised, Updated and Reformatted Kindle Edition - is now an audiobook. This study features one of the most famous psychedelic philosophers of our time. Terence McKenna (1946-2000) has been studying the ontological foundations of shamanism and the ethnopharmacology of spiritual transformation for the past quarter century. An innovative theoretician and spellbinding orator, McKenna emerged as a powerful voice for the psychedelic movement and the emergent societal tendency he calls The Archaic Revival, one of his most popular books. Poetically dispensing enlightened social criticism and new theories of the fractal dynamics of time, he unraveled many aspects of the visionary lexicon. As Artist Alex Grey suggests, "In the twilight of human history, McKenna's prescription for salvation is just so crazy it might work." In 1993, McKenna wrote in This World and Its Double. It’s clearly a crisis of two things: of consciousness and conditioning. These are the two things that the psychedelics attack. We have the technological power, the engineering skills to save our planet, to cure disease, to feed the hungry, to end war. But we lack the intellectual vision, the ability to change our minds. We must recondition ourselves from 10,000 years of bad behavior. And, it's not easy. The audiobooks come with a bonus essay by Peter Fritz Walter, entitled "The Shamanic Method".